Hi friends! We’ve been deep in wedding season and have a million outfits we wanted to share with you guys! This first one is Dipti’s latest favorite! 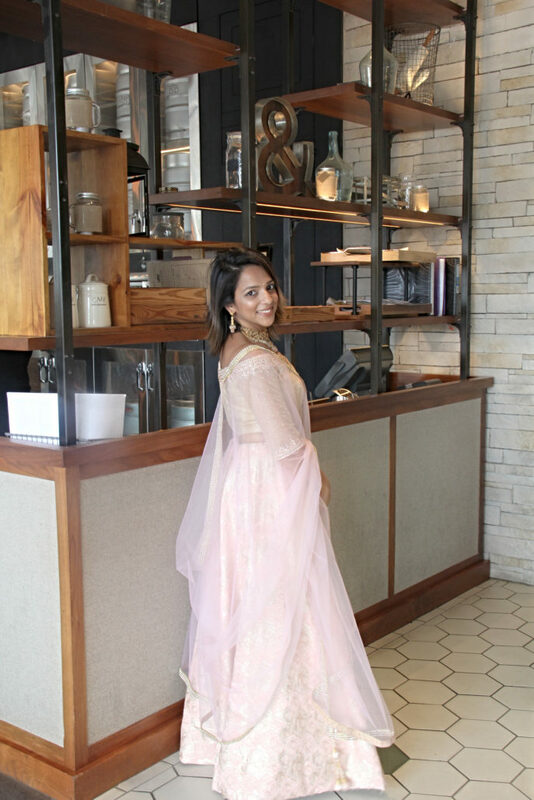 She recently wore this blush pink lengha to her cousin’s wedding and it was a hit! The best part, it was only $200 (that never ever ever happens!!) Dipti couldn’t make the trip to India this year with the two little nuggets so she shopped locally – which of course means Oak Tree Road! 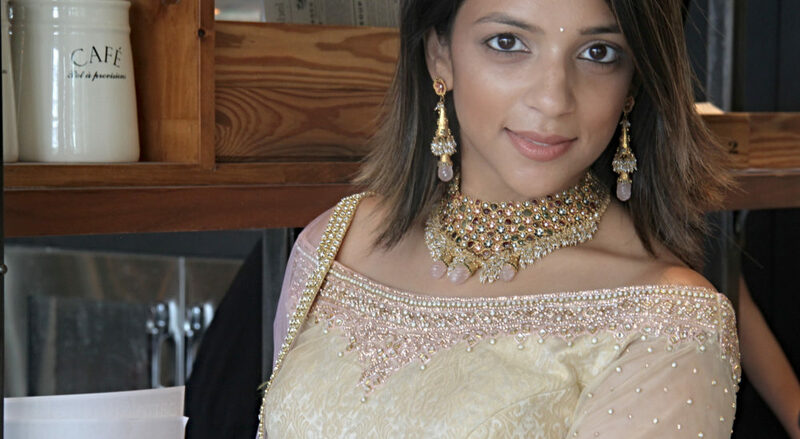 This gorgeous lengha was one of her finds at Shagun. She loved it as soon as she saw it – the boat neck with the delicate work was everything she was looking for this wedding season! She’s also really into large lenghas this season. It was all the hype at a recent celebrity wedding (Sonam obviously) and she couldn’t get over how amazing everyone looked in them! Of course she has certain criteria when buying Indian clothes – first it has to be versatile. You all know how much we love pairing our Indian and Western items, so anything we buy has to be able to transfer well. 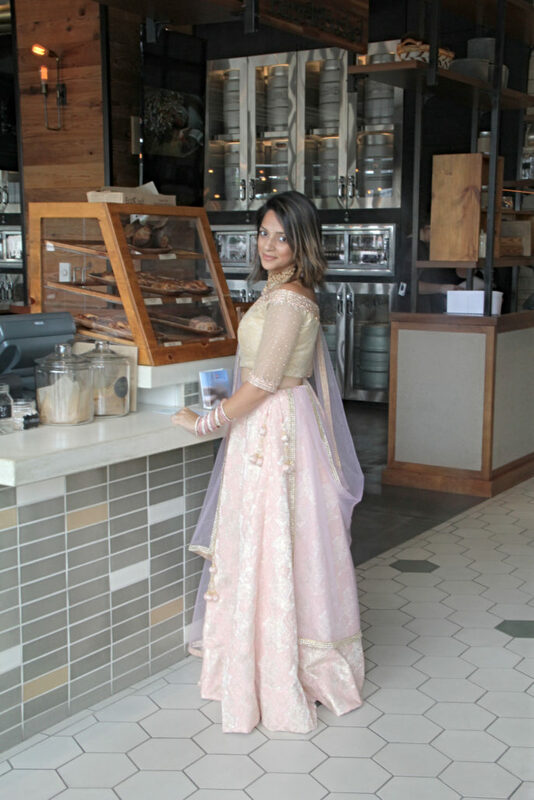 This lengha is the perfect color for daytime anything – you can wear a white long sleeve colored shirt with it to someone’s mendhi and it’ll be a hit! Her second criteria is that it has to be the perfect fit. This lengha’s top fit perfectly when she put it on so she knew there wouldn’t be any alterations that would change the look and fit of it. 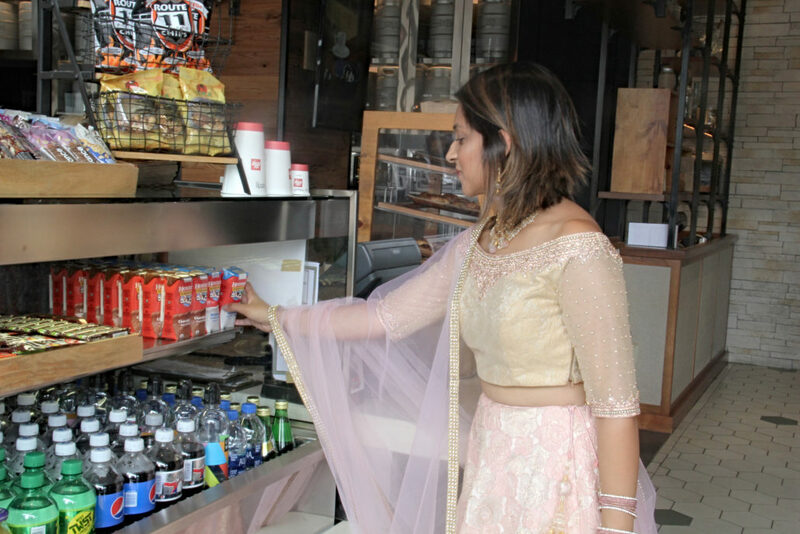 Unfortunately at the time, the lengha was way too long but she decided to go through with the alterations. 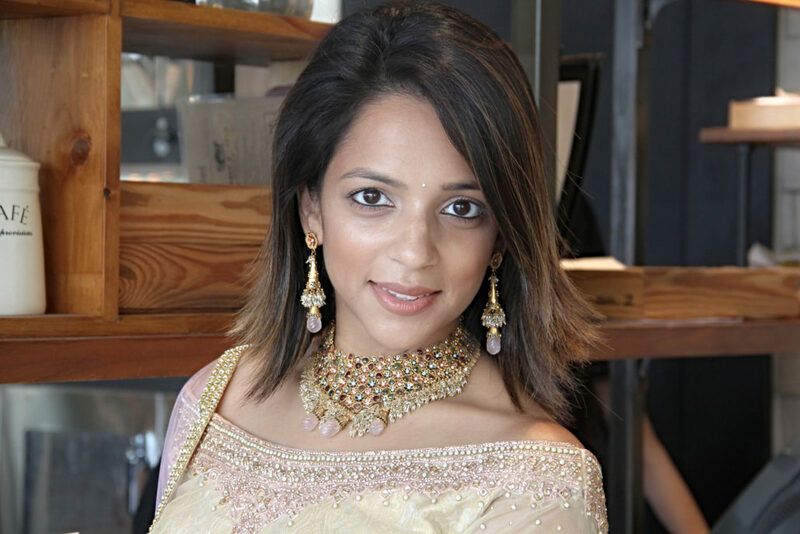 Of course, when she did get 4 inches cut from the bottom the “gher” or width of the lengha lessened which really bummed her out. Thankfully the lengha was big enough that it still had that large, flowy look to it.